Black Friday is expected to generate billions of dollars in sales this year. According to the National Retail Federation an estimated 164 million of us will be shopping this weekend. But this shopping bonanza also generates greater volumes of waste. 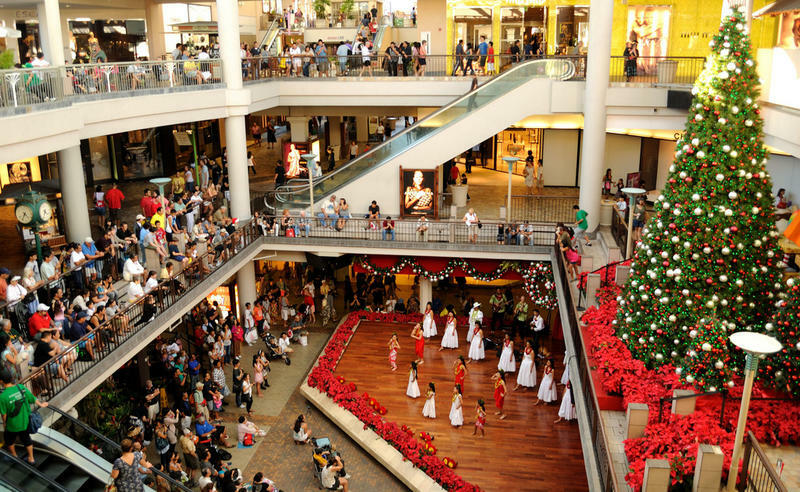 HPR’s Kuʻuwehi Hiraishi reports on Hawai‘i’s conscious consumer and where they’re going to be shopping this holiday season. As hordes of shoppers rush to stores for Black Friday sales, others are looking for shopping alternatives – outlets for that inner anti-consumerist. Clothing racks at Plato's Closet. 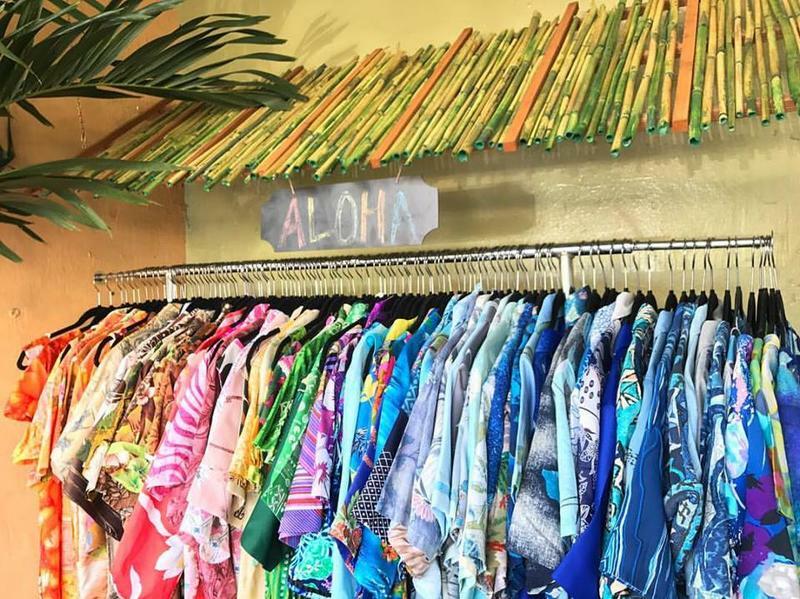 “People are just in the mood to shop on Black Friday so just getting them in our door is kind of our goal,” says Sue Green, owner of Plato’s Closet, a popular Honolulu consignment shop. The resale boutique is known for carrying trendy, close-to-new clothing and accessories for teens and 20-somethings that are sold for up to 70 percent off mall prices. 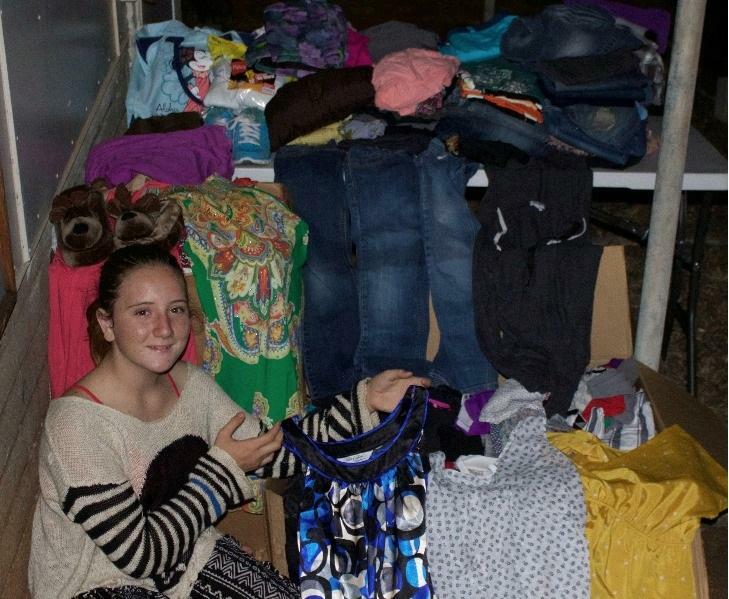 For the past three months, Green has been setting aside some of her best donations and saving them for Black Friday. And the strategy has been working the last three years. Customers are lined up outside her Piʻikoi Street boutique instead of malls and big box stores, because as Green put it, shopping second-hand is second nature to her customers. 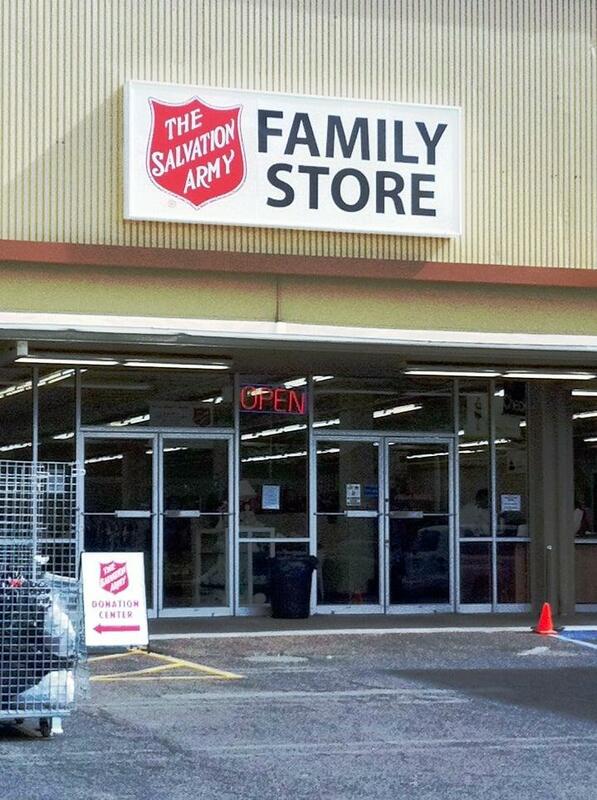 For the Salvation Army Thrift Stores, a familiar name as far as second-hand shops go, Black Friday isn’t really a money maker. The proceeds from the thrift stores go to fund the centers’ operations. The stores carry a wide gamut of second-hand items from clothes to furniture, antiques and knickknacks for a fraction of the cost. But shopping there can be a hit or miss. “It’s like a treasure hunt isn’t it? I mean you never know on any given day what you’re gonna find in the store,” says Russell. For April Bullis, manager of the Honolulu Habitat for Humanity Re-Store, second-hand shopping is her mantra. The non-profit home improvement store takes in donated items and resells them at discount prices, with the proceeds going to fund Honolulu Habitat’s housing projects. “We have everything from building materials, furniture, appliances, housewares, doors, windows, hardware, and tools,” says Bullis. April Bullis, Honolulu Habitat for Humanity Re-Store Manager, poses above the store's warehouse in Kalihi. The Re-Store began capitalizing on the Black Friday shopping frenzy last year, when they started Sustainable Saturdays – a 50 percent off store-wide sale that also includes educational workshops and booths promoting sustainability and recycling. Today is Black Friday – a day where many retailers see their margins go from the red into the black. But this year more and more people are turning to the digital marketplace to gather up gifts. A Google search on holiday shopping reveals that last year- 40% of holiday shopping occurred online…with more than half of consumers using a smartphone or tablet. Many people will be headed to malls today for Black Friday sales. But there are an assortment of alternative shopping choices popping up this year. 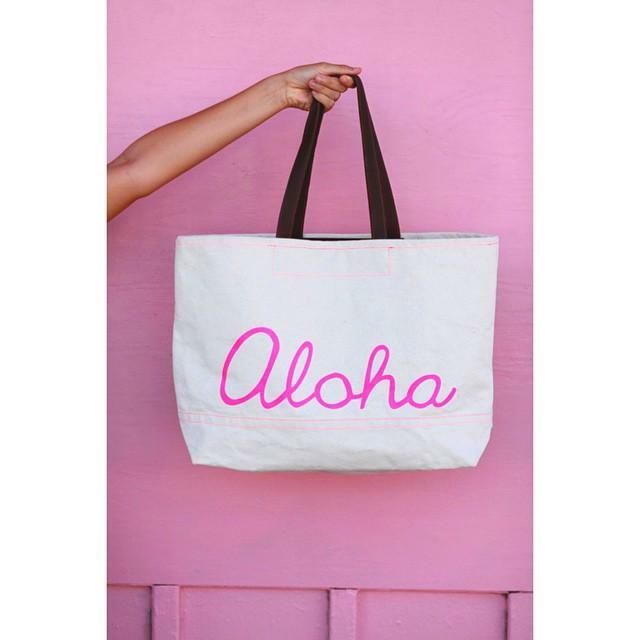 On O‘ahu, Chinatown merchants and restaurants are hosting the 2nd annual Downtown Shop Around. Downtown boutiques are hosting trunk sales and discounts… while restaurants offer shoppers discounts for their support of merchants. Bradley Rhea is co-owner of Barrio Vintage clothing store. Large shopping centers will not be the only busy places this Black Friday. Local boutiques and restaurants in Chinatown are also gearing up for the holiday rush, and they want you to think outside the big box store. Missy Mulls is the owner of Owens and Company and one of the organizers of the “Downtown Shop Around"
Back to School. Today is the first day of the 2017 school year for tens of thousands of Hawaiʻi public school students. For many families, getting ready for going back to school has not only been a time-consuming process – but an expensive one. HPR’s Kuʻuwehi Hiraishi reports.